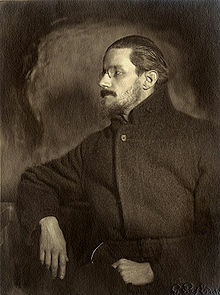 HAPPY BIRTHDAY TO JAMES JOYCE! HAPPY BIRTHDAY TO JAMES JOYCE! His works got me hooked in my teens when I really related to his character Stephen Dedalus as he rejected his religion and indulged what I call his “young and pretentious side” in A Portrait of the Artist as a Young Man. I wore out my copy of Joyce’s novel Ulysses and continue to mark Bloom’s Day to this very day. Yes, it’s the 16th of June, better known to James Joyce geeks like me as Bloom’s Day. The day is named in honor of Leopold Bloom, the Jewish advertising sales rep and Freemason who is one of the major characters in Joyce’s novel Ulysses. The novel also brings along Stephen Dedalus, the protagonist of his earlier novel Portrait of the Artist as a Young Man. For those unfamiliar with this work, Ulysses is Joyce’s stream-of-consciousness novel in which he metaphorically features the events from the Odyssey in a single day – June 16th, 1904, in Dublin. (The day he met Nora Barnacle, the woman he would eventually marry after living together for decades) Bloom represents Ulysses/Odysseus, Stephen represents Telemachus and Leopold’s wife, Molly Bloom, represents Penelope. Yes, it’s the 16th of June, better known to James Joyce geeks like me as Bloom’s Day. The day is named in honor of Leopold Bloom, the Jewish advertising sales rep and Freemason who is one of the major characters in Joyce’s novel Ulysses. The novel also brings along Stephen Dedalus, the protagonist of his earlier novel Portrait of the Artist as a Young Man. For those unfamiliar with this work, Ulysses is Joyce’s stream-of-consciousness novel in which he metaphorically features the events from the Odyssey in a single day – June 16th, 1904, in Dublin. (The day he met Nora Barnacle, the woman he would eventually marry after living together for decades) Bloom represents Ulysses/Odysseus, Stephen represents Telemachus and Leopold’s wife, Molly Bloom, represents Penelope.